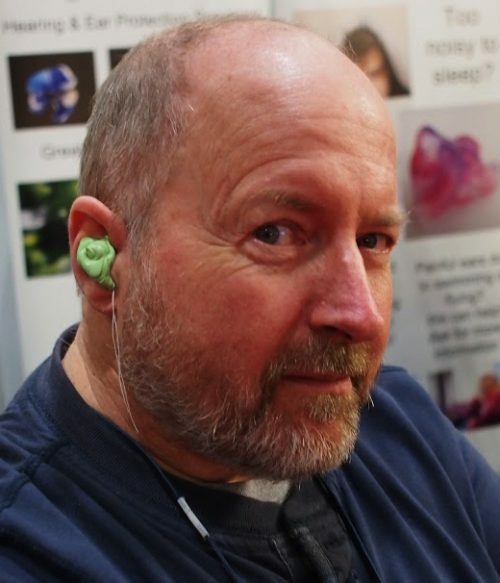 Since having the decibel levels of the wind rushing past one’s crash helmet highlighted to me several years ago, I have worn disposable ear plugs, usually bought in bulk from an industrial supplier. 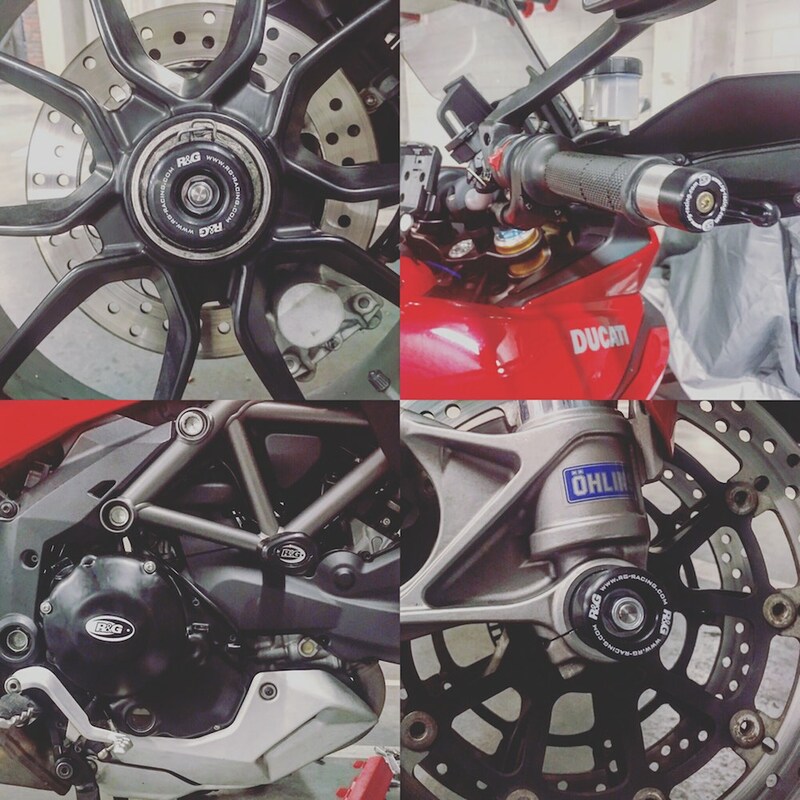 Despite being a bit wasteful these also make your bike sound pretty good, allowing the baritone bark of the exhaust to filter through while shutting out the clatter of fuel injectors and noisy valve gear. Try a short ride with/without them and you’ll see what I mean. The exception to this was when I needed to listen to the sat-nav device on my phone, which necessitated me wearing my Apple ear buds – the ones shaped like tiny hair driers. Inevitably with the sound of the engine clattering away below and the breeze battering your lid, to actually be able to hear the directions properly YOU NEED TO HAVE THE VOLUME UP QUITE HIGH, which risks distortion, hearing damage and getting lost. Also, while the ear buds are fine in normal use, wearing them inside a crash helmet can become quite painful, especially when taking it off. 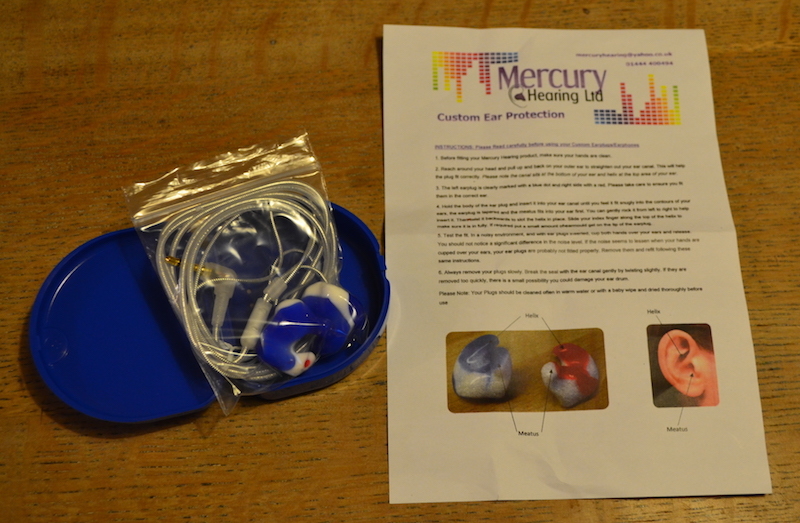 So with this in mind I approached Mercury Hearing Ltd’s stand at the London Motorcycle Show back in February to see if they could provide a solution to these first world problems. Mercury Hearing is a family firm of five fully trained technicians with more than 40 years of experience between them, their business supplies a wide range of customers including the NHS, security companies and the armed forces. 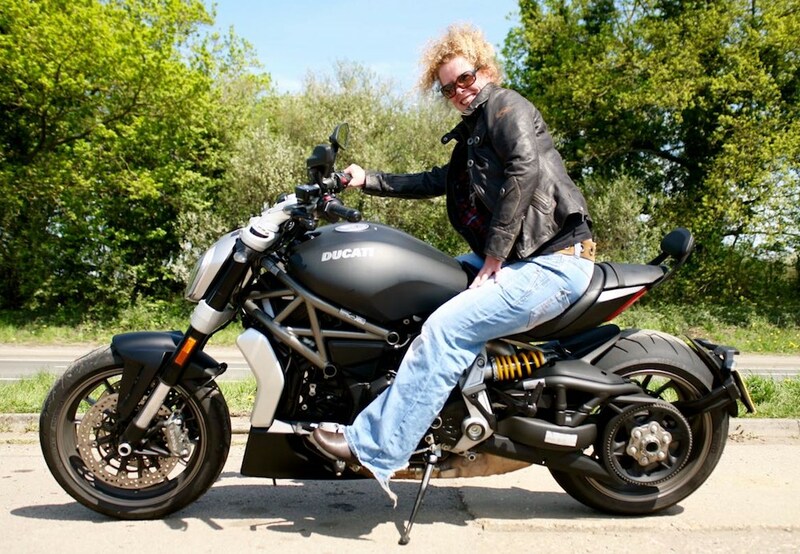 Not forgetting motorcyclists. 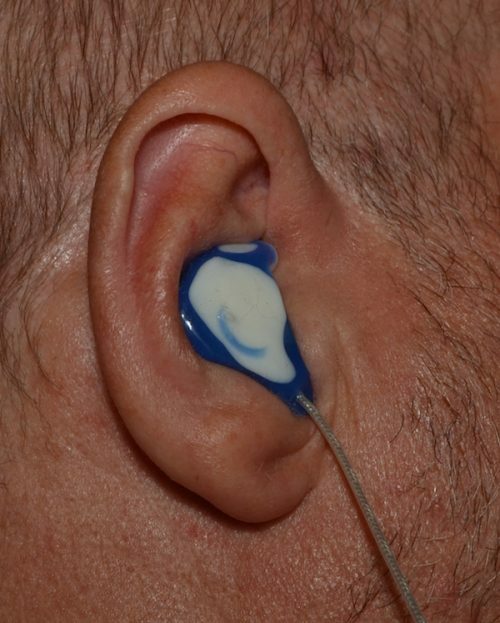 After a short discussion with Julie and Nicky it was decided that a pair of built-in earbud plugs would probably serve all my needs, and with that my ear ‘oles were cleaned, a couple of pieces of string inserted with tiny cotton plugs on the end and my ears were filled with a special mix of green gunge, which felt rather odd. 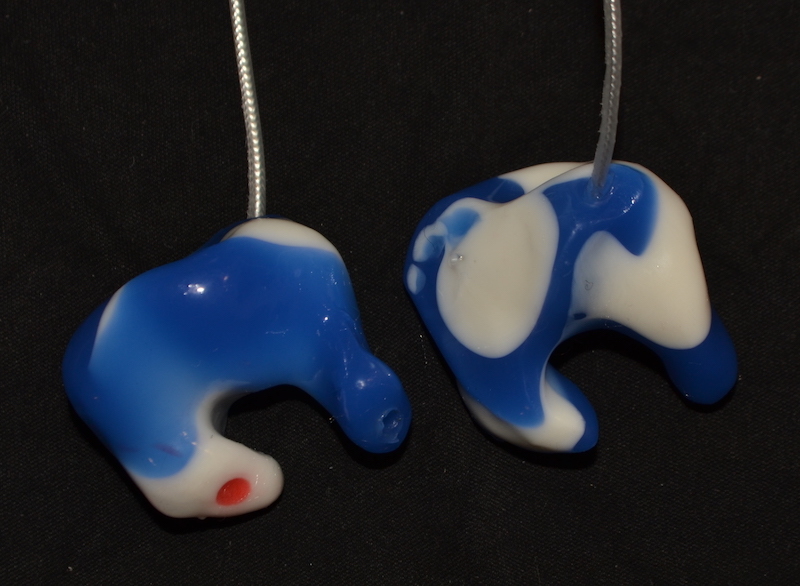 After what seemed like an age (it was actually just a few minutes) of enforced deafness the impressions were pulled out, and my details taken along with my colour preference. A few weeks later a Jiffy package arrived containing a neat blue pocket sized storage box and my motorcycling life was immediately transformed. As was my lawn mowing. After carefully following the instructions provided I cleaned my ears with a babywipe and carefully inserted the peculiarly shaped plugs, (the one with the red dot goes in your right lug hole) twisted them slightly and suddenly they fitted very snugly into my respective meatuses and helixes. That’s dirty talk for ear people you know. I then plugged the other end of the Kevlar coated wires into my iPod Classic – deliberately set at low volume – and gradually turned it up to halfway, which was really all I needed. It sounded good. I then needed to go for a ride, and after a bit of trial and error I discovered that the best way (for me) to wear a lid with the plugs was to fit them with the ‘Y’ piece behind my neck so they stayed well clear of the chin strap, the wire then passed round and under my arm to connect to my iPod or phone in the inside pocket of my jacket, a bit of moving my head from side to side ensured that there was enough slack cable, and I was in business. I found that wearing a Buff also helped keep things in place. On the open road I was pleasantly surprised to find that I didn’t really need to increase the volume, and could still clearly hear the engine of my bike and other traffic while either listening to music, the radio or satnav instructions, although I found that I lost some of the bass register. Maybe my ears need syringing. I found that initially the plugs made my ears a little sore after a while, but the more I wear them the better they have become. 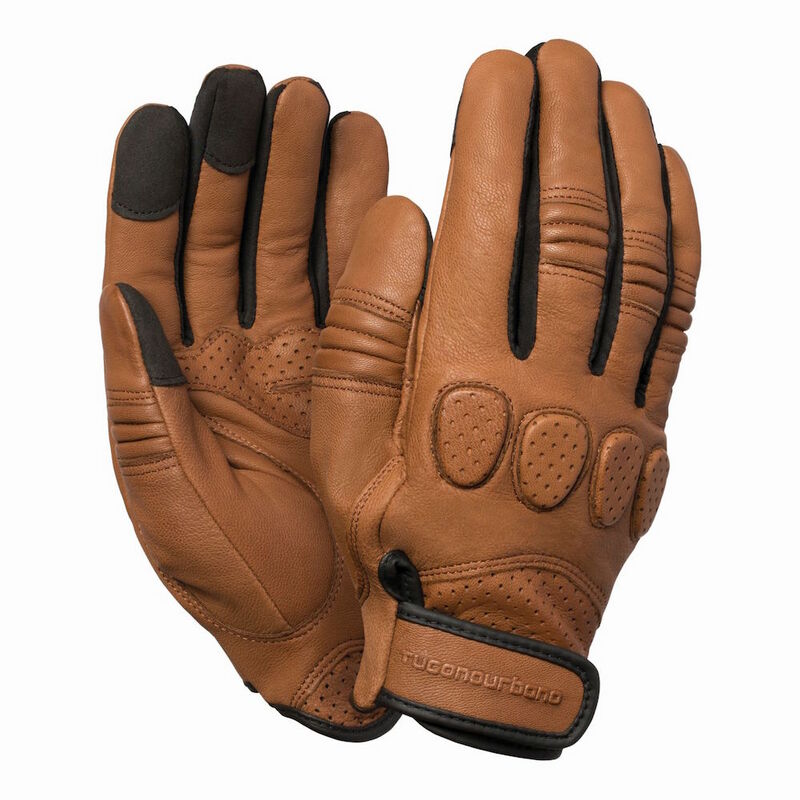 I also found that far from distracting me, listening to the radio or music actually enhanced my riding experience, and now I never ride without them. Down sides? Well, I mentioned the lack of bass unless using them indoors. 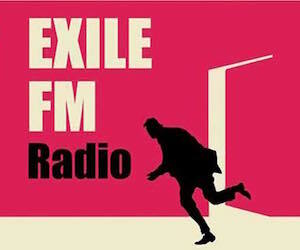 And if you use them for the FM radio on your phone inevitably you have to stop and retune now and then. A potential problem is that often when you carefully remove the plugs (don’t just yank them out!) they may have lumps of cerumen on them, which can be a bit embarrassing (I usually save it though as I’m making a Christmas candle). They can also be a bit awkward when people (like parking attendants at the O2) try to tell you where to park. And speaking of the O2, I wish I’d asked for them to be flesh coloured, as they are great for loud gigs, you can hear everything without getting deafened. But apart from all that, I wouldn’t be without them. 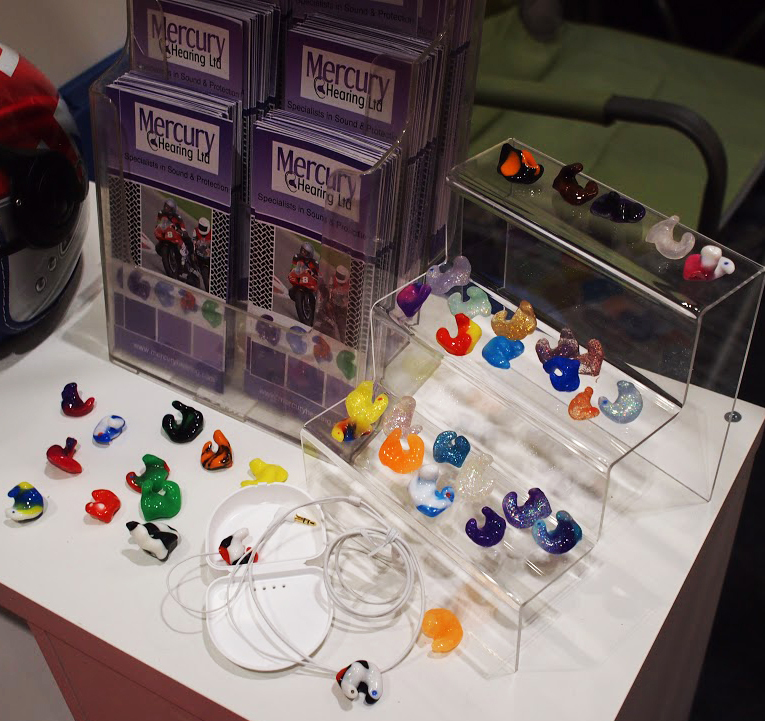 The monitors I have are available from £100 depending on colour and material options from Mercury Hearing (01444 400494). 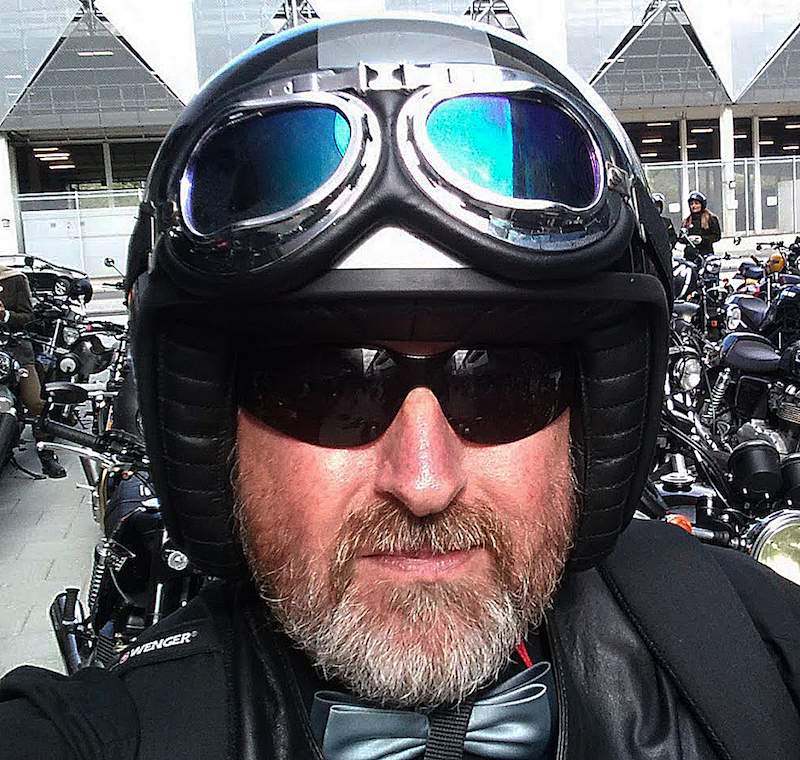 ← Motorcycle Theft – a Modern Phenomenon?